The blooms on this beautiful Kordes rose are large, full, ruffly and fragrant. Win. Win. Win. Win. This rose grows tall and narrow in my garden so I have 5 growing close together for a more dramatic look. This rose is one of the most disease resistant roses in my garden, which is just the icing on the cake as far as I’m concerned! I checked and Chamblee Roses has it! Read more or purchase here. 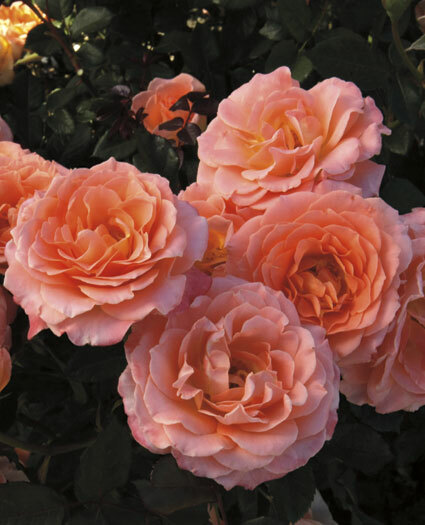 Do you grow Poseidon or have other recommendations for lavender roses? This light pink rose was hybridized in Germany by Wilhelm Hinner who worked for Philipp Geduldig’s nursery in 1908. Not only is this rose beautiful, it is also fragrant and has the multi-petaled lovely old world charm that I adore. 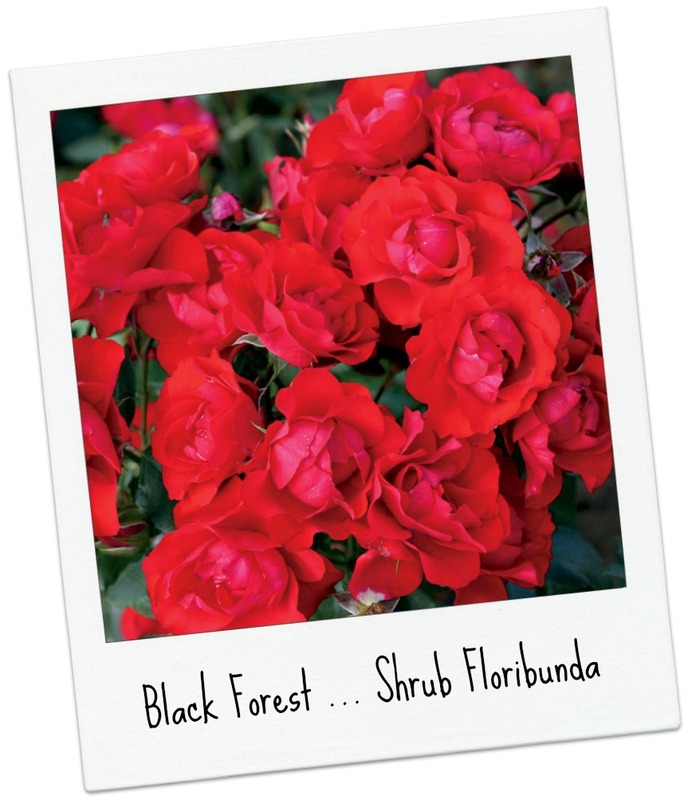 It is considered by most to be the first floribunda. I have also read it is one of the more shade tolerant roses. Since this rose grows to only about 3 high and wide, she will fit nicely in to most any sized garden. She did have some black spot issues in July when it was raining every day, but I cut her back, spritzed with Mil Stop and she finished strong and healthy. I have 3 of these in the garden that were planted 3 years ago. While they bloomed well even the first year, last year was the best by far. I originally had 4, but one had a harder time over the winter in my Zone 5 garden, so I dug it up. Since I love this rose so much, I couldn’t just throw it away; instead I lovingly planted it in a pot. And, I unlovingly forgot about it. The poor potted Gruss received very little care or water ALL SUMMER. It is now residing in my potting shed where I promise to pamper it over the winter. I just gave it a hardy drink of Moo Poo Tea and we will see how she does. By the way, Gruss means “Greetings” in German and Aachen is a city in Germany. Do you grow this rose? If you don’t and would like to, it is available at Chamblee Nursery here. but I wouldn’t wait! Quantity is limited! 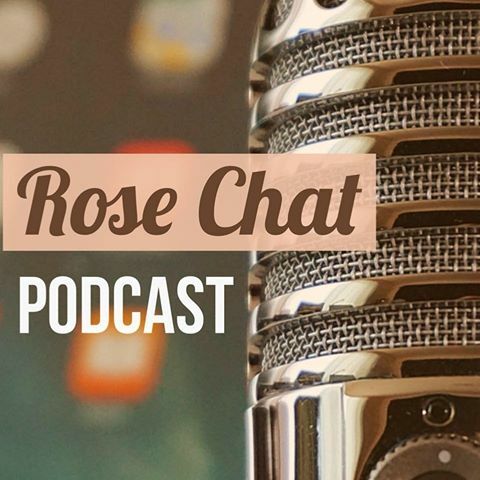 This week on the Rose Chat Radio podcast, the delightful Karen Kemp-Docksteader, sales and marketing manager for Weeks Roses, joined us to chat about some wonderful new rose introductions for 2014! Podcast link. Named for the wife of Dr. Martin Luther King, this rose is not only lovely but very disease resistant. Chris, (The Redneck Rosarian) had an early release of this rose and it has performed beautifully for him this entire summer! A very unusual gold color! Karen said it is stunning in the field and she can hardly pass by it without stopping. This rose is known as a blooming machine! Karen pointed out to us that “miniature” does not refer to the growth habit of this rose but rather the blooms are miniature. Isn’t it just so cute! Perfect rose show form! 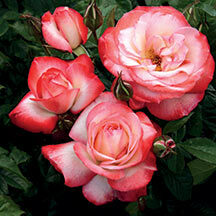 Like its parent, Julia Child, this rose is known for disease resistance and beautiful foliage. This is another blooming machine that will fit well into any landscape. 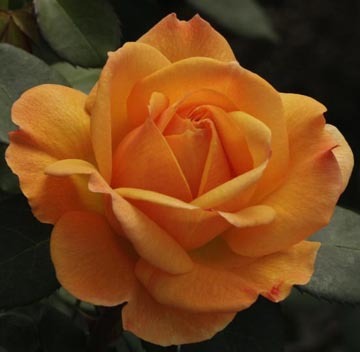 This beauty has the multi-petaled old rose form with a lovely tea fragrance. 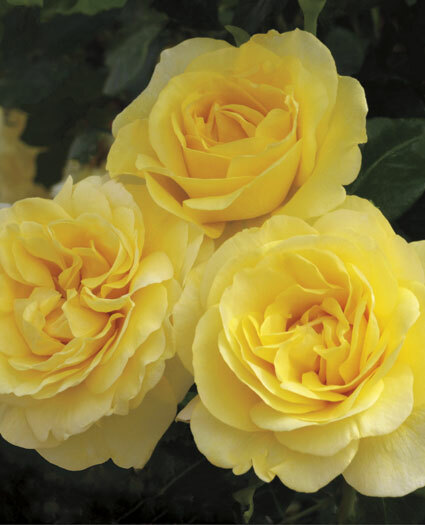 I find yellow roses hard to resist so this may quickly go on my wish list! Karen shared with us that it is confirmed there is to be a new line of Downton Abbey Roses. Starting with the first in the series, Anna’s Promise. Now back to working on my wish list for 2014. How about you, what’s on your garden wish list? 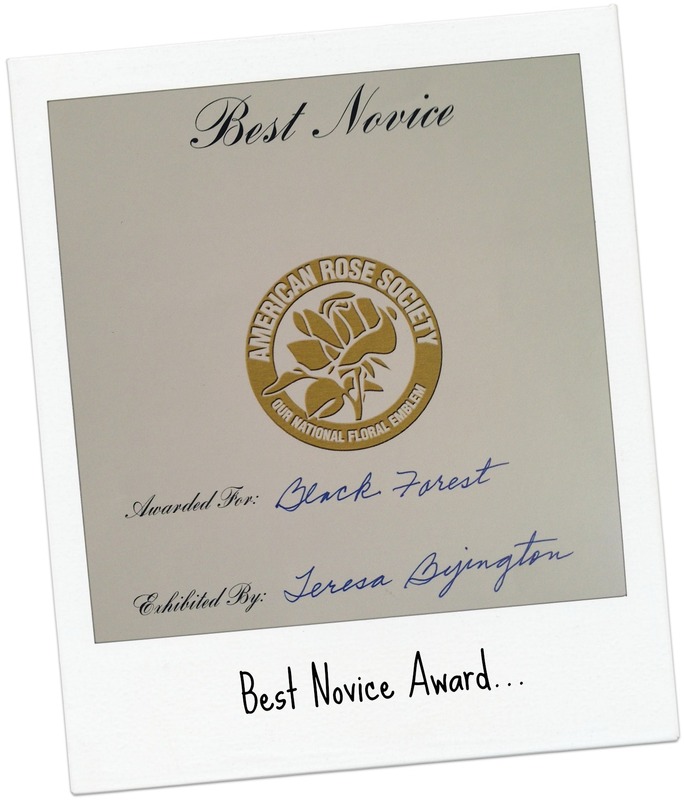 Black Forest is one of the amazing roses in the Certified Rose Simply Brilliant Collection and it is truly a simply-brilliant winner! 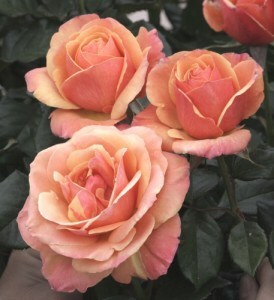 In 2010 this rose received the prestigious German ADR award for its beauty and natural disease resistance. This floribunda shrub took me to the Winners Circle too! 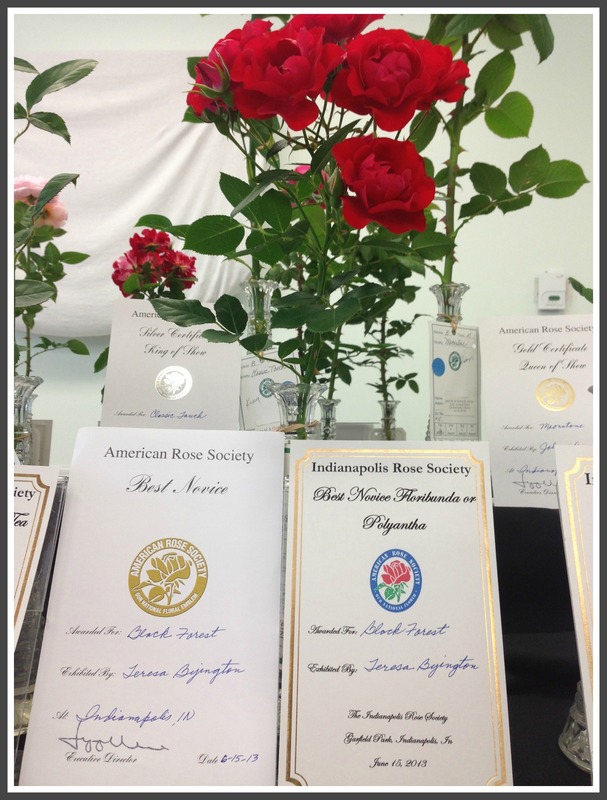 I received the BEST NOVICE award for Black Forest at the Indianapolis Rose Society Show (Read more about the show here.). This rose deserves the award but not for anything special that I did. I just gave it a little fertilizer and lots of love and it is blooming non stop! 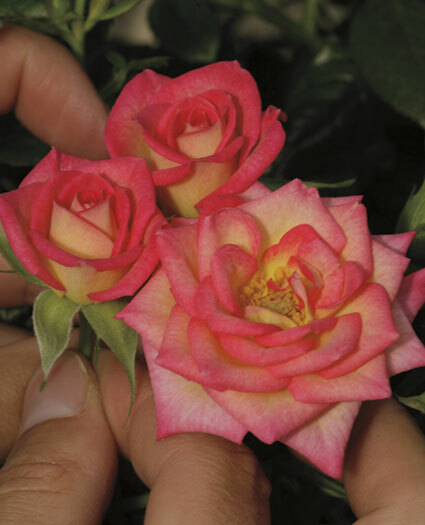 The blooms are born in sprays that last and last and last whether on the plant or in a vase. The growth habit of this rose is bushy and spreading to about 3’ X 3’. Truly a winner in a no-spray garden.